The past several weeks have been absolutely amazing for the Asian American entertainment industry. 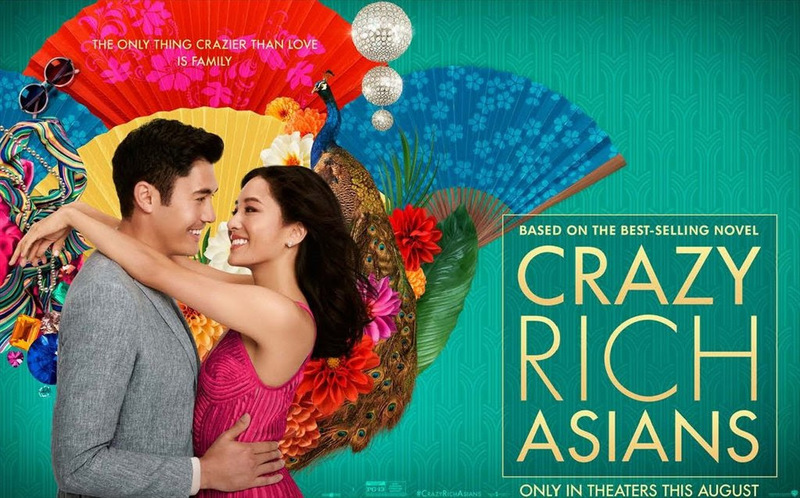 Crazy Rich Asians blew past $100 million at the box office in less than three weeks, becoming the most successful rom-com in almost a decade on its way to surely cracking the top ten all-time list for that genre. To All the Boys I’ve Loved Before is a huge success on Netflix to the point where it has actually raised the popularity of the Japanese yogurt drink Yakult and the stock value of the company who produces it. Searching had the second highest per-screen box office average in its opening week, trailing only CRA, and more than doubled its distributor’s box office expectations. As a result, Hollywood has begun greenlighting Asian American projects left and right, and is being more inclusive in casting Asian American actors in general. It’s an amazing time, one to be celebrated. Yet, thoughts of African American actor Geoffrey Owens dominate my mind. His recent Trader Joe’s job-shaming has brought attention to how difficult it is today to make a living as an actor. The general public, for the most part, has a very skewed perspective. If people watch actors in the movies or on shows and recognize them in public, they conclude that those actors are well off—that they’re living the high life. 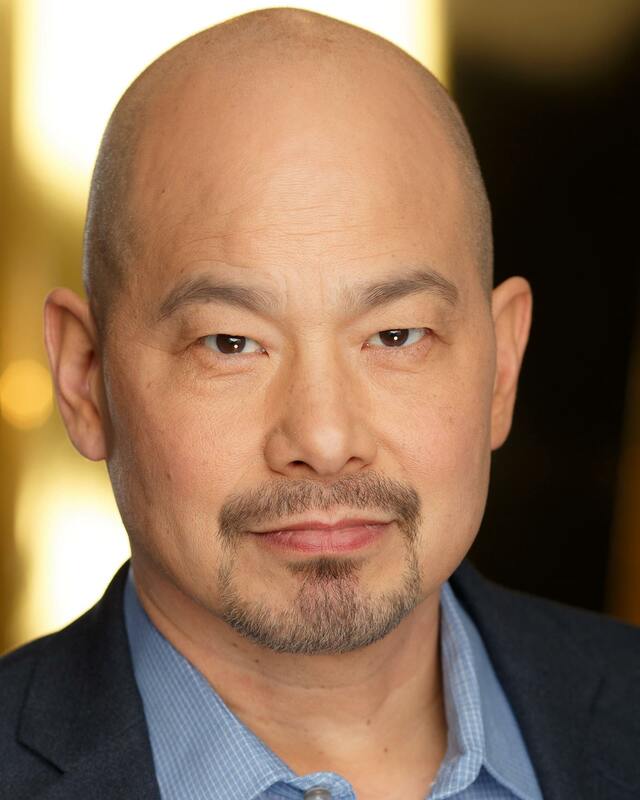 If you’re an actor who’s made it to the top of the profession, this very well could be the case (at least, while you’re at that top); but for the vast majority of actors, this is sadly and laughingly not the situation—and for Asian American actors in particular, well, let me share my story. What does it mean to be an Asian American child in Trump’s America? 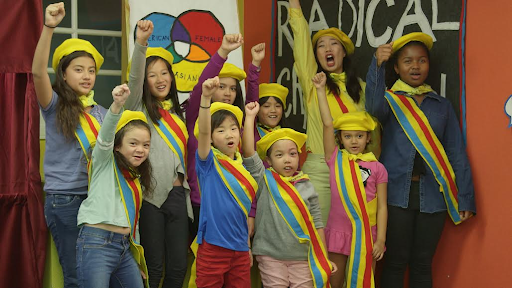 New episodes are still rolling out for comedian Kristina Wong’s Radical Cram School, a web series featuring not merely a cast of Asian kids, but a diverse cast of Asian kids, with one identifying as gender fluid, and nearly half of mixed race. This series is this generation’s (and for lack of precedent, every generation’s) answer to how to be resilient to the racist and misogynist rhetoric of our times. This groundbreaking new series is equal parts cathartic and informative, a window into the minds of our children who don’t always have a chance to speak up, and a spotlight on bright and eager young minds. For parents, older siblings, cousins, and babysitters who want to know how to facilitate conversations about ethnic and gender identity with kids, this web series spells it out through puppet shows, music, and games. While the kids in the series are young (ages 7 to 11), they’re wise beyond their years and certainly old enough to notice that they aren’t seeing people like them on TV or in movies, to have had a few confusing race-based encounters, and to have questions and opinions of their own. Issues such as intersectionality, wage inequality, and structural racism can be tricky topics to tackle, but they don’t have to be. Giving these girls a chance to vent and affirm each other, they are able to empower each other and us to be proud of who they are. Episodes are launched weekly on Facebook, but you can watch all six episodes on YouTube. Nako Narter is a senior majoring in writing for film and television at Emerson College. She is originally from the Bay Area and has read forty books so far this year. ‘Crazy Rich Asians’ is not our ‘Black Panther.’ It’s a Movement. Twenty-five years ago, an Asian American industry movement seemed imminent. I was young and returned from Hong Kong as the lead in Clara Law’s Wonton Soup. Major strides were being made with the successful releases of Dragon: The Bruce Lee Story, Map of The Human Heart, The Joy Luck Club, All-American Girl (highest-ranked new series of the season), and Vanishing Son. My acting success was directly entwined with this movement. From summer ’93 to spring ’94, I booked a high-profile indie film, big-budget commercial film, sweeps-period telefilm, Star Trek: TNG guest star (which was just plain cool), and the pilot episode of Margaret Cho’s ground-breaking series as a would-be suitor. My career was taking off and dreams were tantalizingly achievable. Success seemed right around the corner! 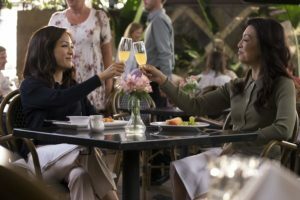 However, despite the nation’s readiness to embrace Asian American actors on the large and small screens, the overall failure of All-American Girl – due to the network’s mishandling of Margaret Cho, unenlightened writing, and negative community reaction – brought everything to a screeching halt. The proverbial balloon popped and studios and networks reverted back to tried-and-true non-inclusive projects. Over the next decade, though, I remained optimistic as I continued to land guest star roles, buoyed by the Asian Pacific American Media Coalition’s efforts to increase diversity on both sides of the camera—but my career eventually plateaued as momentum proved elusive for an Asian American actor in Hollywood. Along with being considered “too manly” and often hearing “we’re not going that way,” I sadly discovered that white writers hesitated to write POC-specific roles because they feared backlash from advocacy groups and feigned ignorance due to their lack of life experience. Yet, I persisted in following my passion and overall conditions continued to improve with the help of various initiatives (internships, showcases, staffing mandates, etc. ), but this forced transition of inclusive change often resulted in feelings of marginalization on staffs and in writers rooms. Some actors did find success as series regulars or supporting leads, but more often than not diversity and inclusion were reflected in the delivery guy, the nurse, or the silent extras in the background. By that time, I reached an age where I just fell through the cracks. Thus, as an Asian American actor, my optimism waned. I lost confidence that the industry would undergo real and meaningful change, not even allowing me the ability to provide for my growing family. So I left Hollywood. Fast forward in my absence, social media and streaming content begin to wreak havoc on the Hollywood landscape. Tinseltown undergoes a seismic transformation, becoming an ultra-modern Wild West with seemingly unlimited access points and distribution outlets. Decision-makers are forced to adapt or be left behind. 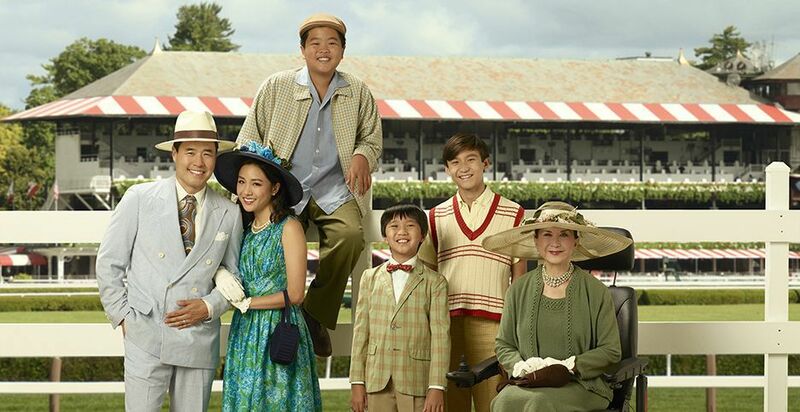 Content creators and viewers’ voices demand change on a viral level, and the small screen responds for Asian Americans with the shows Selfie, Fresh Off the Boat, and Dr. Ken. Author Guest WriterPosted on August 17, 2018 August 18, 2018 Categories Movies, TVTags Crazy Rich AsiansLeave a comment on ‘Crazy Rich Asians’ is not our ‘Black Panther.’ It’s a Movement.